Annette Adamska is the founder of “Back Up Your Life and Back Up Your Business”. She helps entrepreneurs and small business owners document, store, and share the information related to their lives and businesses so that they are prepared no matter what life might throw their way. 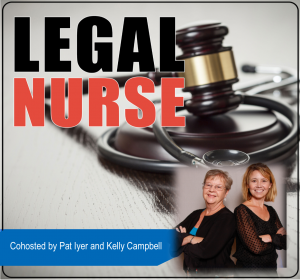 Listen in as Kelly Campbell and Annette Adamska chat about these points. 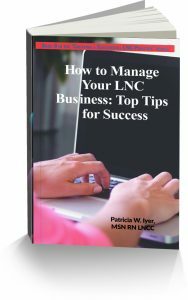 This book is focused on how you can successfully manage your LNC business. Section One focuses on the business processes that allow you to profitably manage your business. You will learn how to map out your business and pinpoint the essential factors. This section includes pointers for financial management, as well as how to accomplish your goals. You will discover to get more done through controlling distractions and effectively outsourcing and hiring. Section Two includes tips on the most important relationship in your business – the one you have with your clients. You’ll learn how to deepen your connections with your clients through your communications. When conflict or the need to negotiate arises, the tips in this section will give you the confidence needed to tackle some of the world’s best negotiators. Lastly, you’ll see how an attorney views the skills of an LNC. Annette founded Back Up Your Life™ in 2017 so that this doesn’t have to happen again to any of us. From both her career and personal tragedy, she knows the ways forward, the overwhelm firsthand, and how to avoid it in the first place. It’s the kind of rare peace of mind that comes with knowing that you and those you love most in this world are planned for, no matter what wonderful or horrible things we will experience in our lifetimes. After life in the fast-paced theater industry in New York City, Annette Adamska has made Durham, North Carolina home with her husband and two snuggly cats. Outside of her passion for helping you back up your life, her favorite things are a combination of good people, good conversation, good food and beverage – all elements Durham delivers on in spades!